Enable progress through entrepreneurial action. 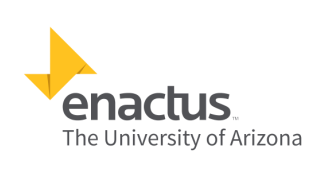 ​Enactus is an international organization that brings together student, academic, and business leaders who are committed to using the power of entrepreneurial action to enable progress around the world. Guided by faculty, advisers, and business experts, participating students form teams on their campuses to create and implement community projects that empower people to improve their quality of life and standard of living. The experience not only transforms lives, it helps students develop the kind of talent and perspective that are essential to becoming effective, values-driven leaders. An annual series of regional and national competitions provides a forum for teams to showcase the impact of their outreach efforts, and to be evaluated by executives serving as judges. National champion teams advance to the prestigious World Cup. In addition to the community aspect of the program, our leadership and career initiatives create meaningful opportunities for cross-generational learning and exchange as well as the placement of students and alumni with companies in search of emerging talent. Imagination Every crisis creates opportunity, every struggle offers the chance to rediscover. Everything we do is born from the ability to see potential where others can’t. Courage The willingness to try, fail and learn on the journey toward creating something new is just as critical as the passion to succeed. There is no substitute for being willing to lead-especially when the territory being covered is new and the outcome is uncertain. Determination Meaningful change is not easy. It requires the ability to overcome seemingly insurmountable obstacles and face often daunting challenges. We have the persistence to do whatever it takes until we achieve the results we seek. Partnership There is no greater force for change than a team of people who are personally invested in each other, and in the lives of the people who their work is intended to serve. Accountability Every initiative or project we undertake will be judged by the only measure that matters: how effectively we create lasting and meaningful progress in the lives of those we serve. Curiosity We are passionate about seeking new perspectives and challenging long-standing assumptions because we know effective leadership requires continuous learning.